Gordy is a DJ’s blog this week is about Kinnettles Castle Wedding Venue Review. 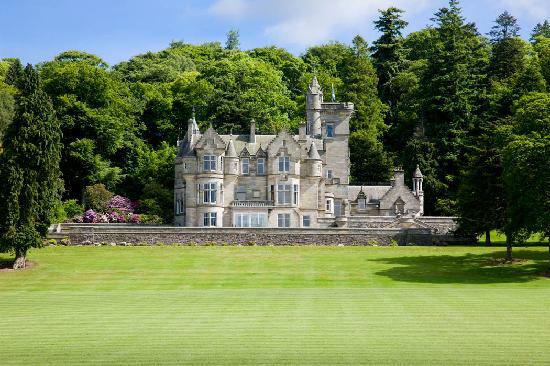 A new venue for us to visit, this luxurious exclusive use baronial house definitely has the wow factor! This venue is a mid-19th century period castle located in Forfar, Angus, Scotland and is set on 44 acres of beautiful gardens. Originally built in 1678 Kinnettles Castle lies between Aberdeen and Edinburgh. On arrival at the castle the sweeping driveway leads you to this stately home with breathtaking views of the Scottish landscape. The peace and quiet at this venue is evident with unspoilt views making this the perfect wedding venue for any couple. The exclusive use and privacy of the castle and beautiful grounds means that wedding couples can truly relax and be given a first-class service from the staff. 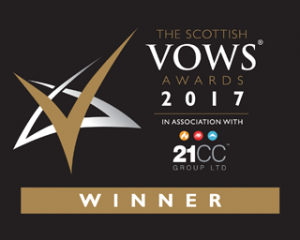 A couple’s wedding ceremony can take place in the intimate dinning room, on the outdoor terrace with stunning views over the Scottish hills or in their marquee. The marquee boasts a soft white interior and chandeliers, a perfect setting for couples to add their own stamp creating their own individual experience. On arrival Gordy is a DJ was met by Bob who explained and showed us the access to the marquee. This was extremely helpful especially due to it being so dark in November! The use of a trolley from the carpark enables wedding suppliers quick access into the marquee. Up to 140 guests can be seated for the wedding breakfast with plenty of space in the marquee to allow dancing! The marquee was warm and has it’s own private bar meaning guests don’t have to travel far and miss out on the music!! Marlene was the wedding co-ordinator in charge at our visit and she was fantastic. Informing us of the running order of events, ensuring we had everything we needed and overall being extremely accommodating made us feel so welcome! Thank you Marlene and all of the bar and waiting staff for looking after us! 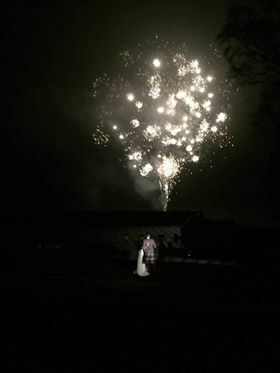 The Robinson wedding was a fantastic evening with plenty of guest requests and a lovely surprise of fireworks!! A spectacular firework display really added to the unique experience! We also had the pleasure of working with our friend Barry Robb (photographer) again! It was great to catch up with our fellow suppliers! For more information about Gordy is a DJ’s multi award-winning wedding service, please contact us here.